Thank you for booking with Wight Wanders. Once you have chosen your tour, there are 3 ways you can book your holiday: If you are unsure of some of the details or perhaps fancy something a little different then use our contact form or give us a call on 01983 281662 and we will be delighted to help. Download the booking form that can be printed, filled in and mailed to:- Wight Wanders, 22 Broadfields Avenue, Cowes, Isle of Wight, PO31 7UD . The form is in PDF format and you will require Adobe Reader to view the form. This can be downloaded from this web site. When you book your holiday you need to have confidence that you're booking with a reliable and professional company who will organise your walking or cycling holiday with care. 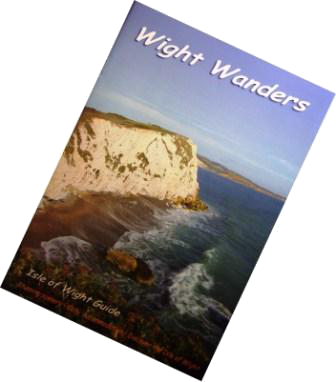 Here are a few simple reasons to consider WIGHT WANDERS and the ISLE OF WIGHT. We live on the Isle of Wight and provide a uniquely specialised service offering an unrivalled walking or cycling experience through the spectacular scenery of the Island. The family run nature of our business ensures a personal touch and many satisfied customers from all over the world are testimony to this philosophy. We feel privileged to live on the Isle of Wight and when we are not moving your bags and arranging your accommodation, we are exploring the island in an effort to find interesting and new routes for our guests to enjoy. 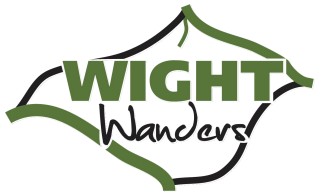 We have been running WIGHT WANDERS since 2005 and from small beginnings now welcome many hundreds of clients each year. We are extremely proud of the fact that a large proportion of our bookings are from return clients and as a result of personal recommendation. We plan our holidays meticulously so that you will experience the most idyllic scenery, the friendliest and most welcoming accommodation, the most scenic trails and the most outstanding features of the Island. We are happy to tailor the arrangements to suit you. You can choose the start date, your travel method and route, the length of your holiday and whether or not to make any upgrades. - If you want a shorter, or longer, trip than our itineraries suggest, then it's not usually a problem to add or take out days. Your holiday accommodation is absolutely critical to your holiday and we take great pride in working with outstanding accommodation providers. All the places we've chosen are special, but in lots of different ways, often reflecting the tastes and personalities of the people who run them. So whether you are staying in a small local B&B or an atmospheric country inn you can be sure that your accommodation has been hand-picked and will offer a warm welcome. Deposit and Balance of Payment. Cancellation of booking will become effective upon receipt of written notification from you. (The cancellation charges are shown in the full details below). The cost of each trip is based upon accommodation in twin-bedded or double rooms. Those requesting single rooms will be charged a single room supplement. Whist the information on this web site is correct at time of publishing, we reserve the right to change any of the prices, services, or other particulars contained on this web site at any time before we enter into a contract with you. Bookings are accepted on the understanding that all persons travelling are normally in good health and physically equal to the minimum demands of the chosen trip. Please note that adequate travel insurance (including medical, personal accident and repatriation in the event of illness, baggage, money and liability cover as well as loss of monies paid in the event of cancellation) is a condition of booking. For full details click on this link. You can download the privacy statement from this link.